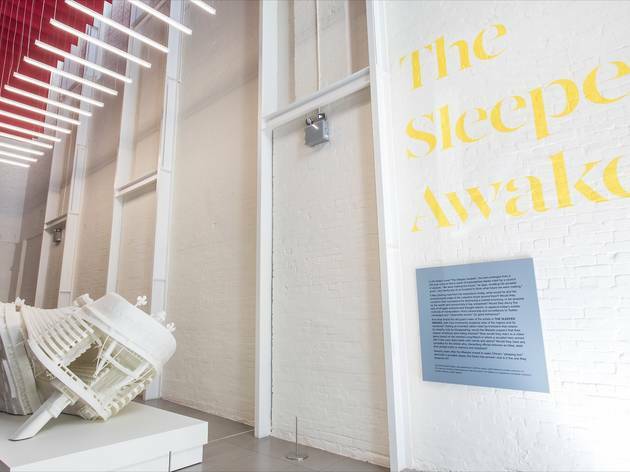 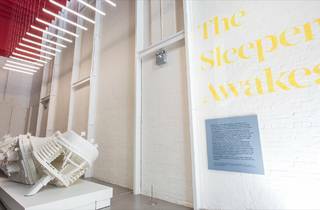 There are only nine artists in White Rabbit's The Sleeper Awakes, which takes over four floors of the Chippendale gallery. 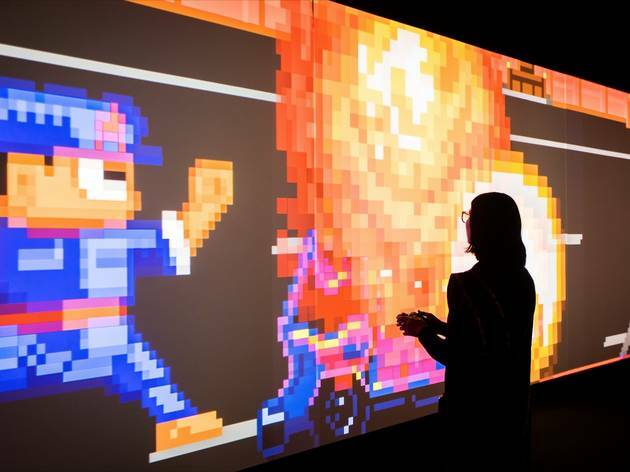 But there's certainly no shortage of showstoppers or big ideas on display from these forward-thinking practitioners. 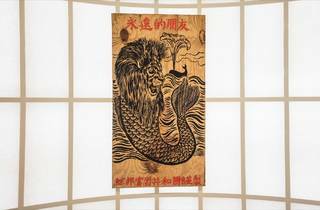 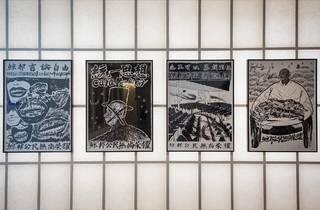 The exhibition itself is a conversation between China's present and the future that Mao Zedong and his communist revolutionaries dreamed of 70 years ago. 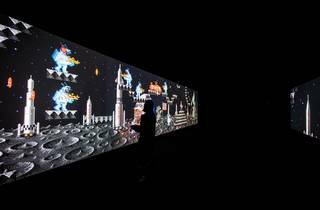 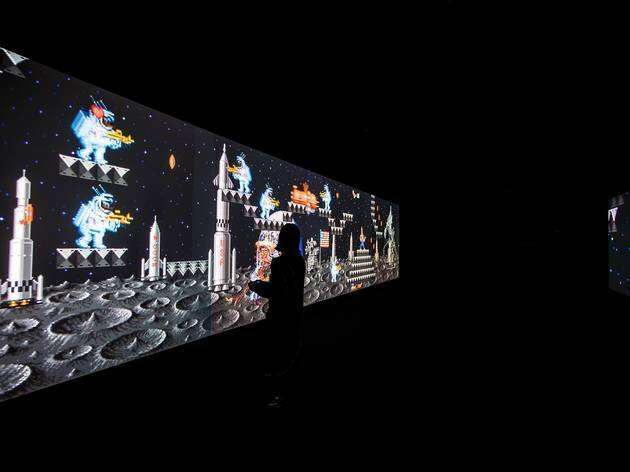 Nowhere is this conversation more apparent than in Feng Mengbo's 'Long March—Restart', an old arcade style video game projected onto the gallery's walls. 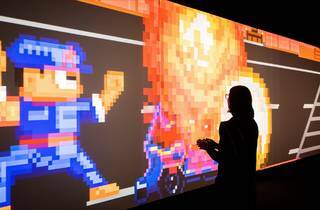 Visitors are welcome to play what seems to be just a cute game with a Mario-esque figure as the hero. 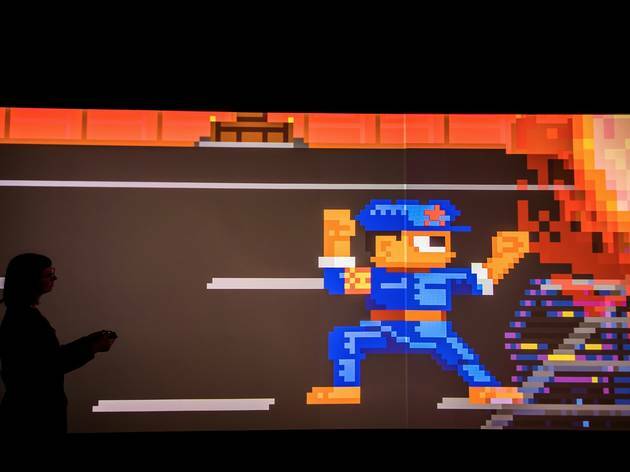 But the game is actually a reimagining of the Long March, the military retreat that Mao used as a tool of propaganda, making a hero out of Yang Zirong, a Red Army soldier. 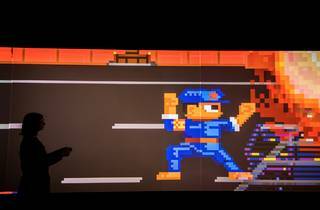 In this version, the soldier hurls Coke cans (could there be a more potent symbol for capitalism?) 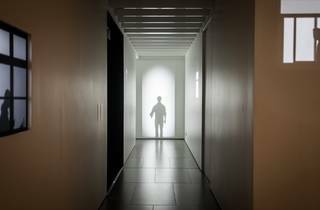 at his foes. 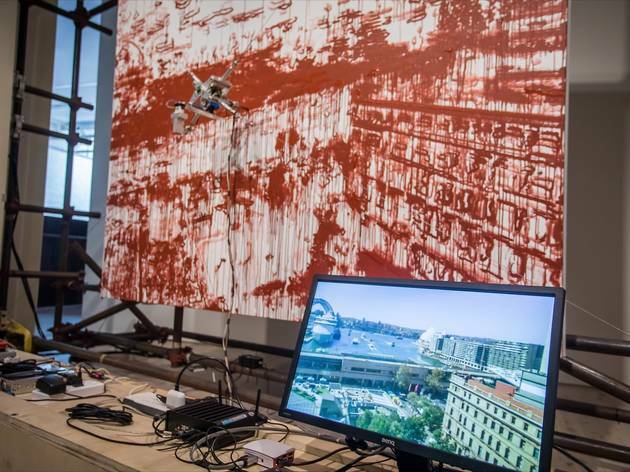 One of the strangest works on show is Liu Xiaodong's 'Weight of Insomnia', featuring a painting machine meticulously recreating vision from a live webcam showing footage of Circular Quay and the Sydney Harbour Bridge. 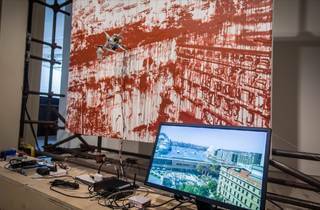 The robotic brush continues to move throughout night and day creating its own impression of the cityscape. 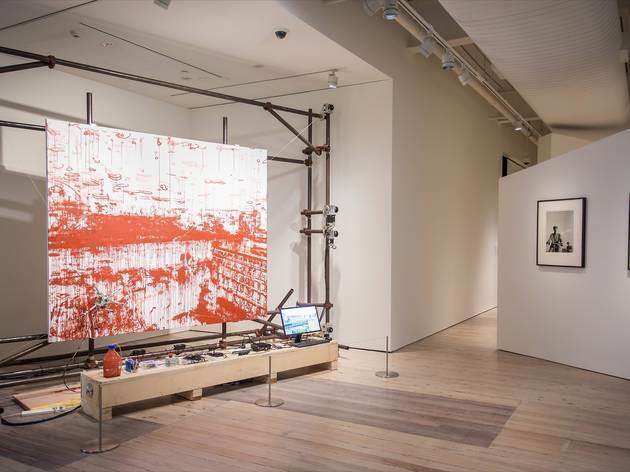 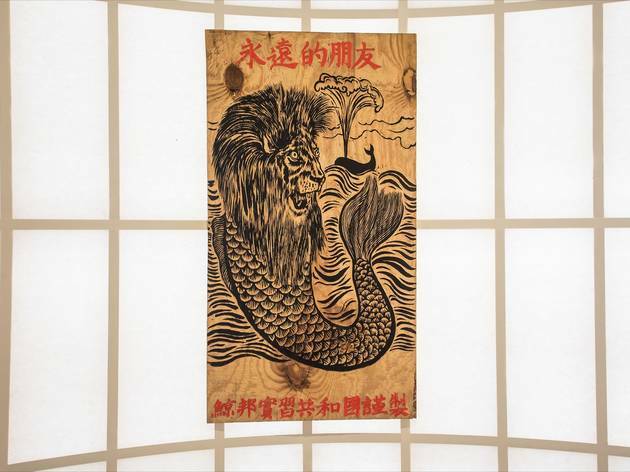 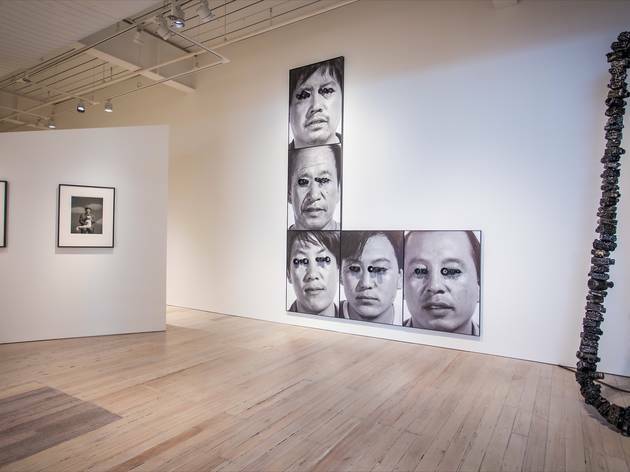 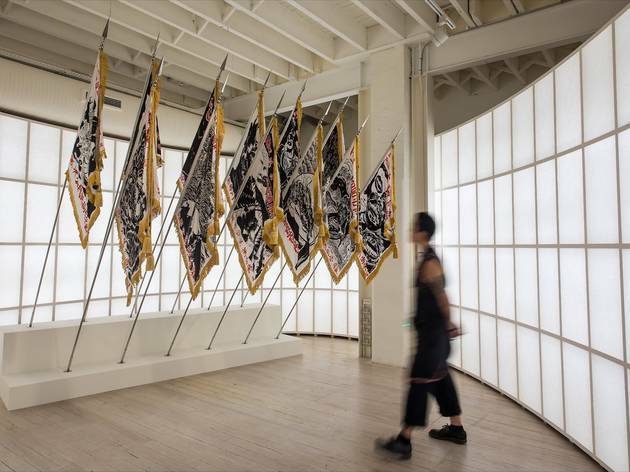 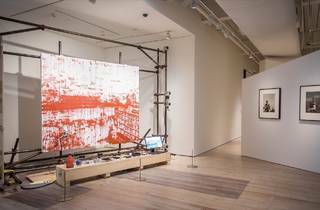 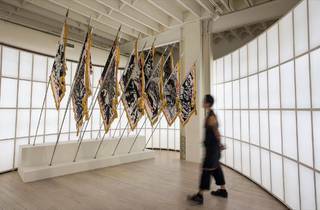 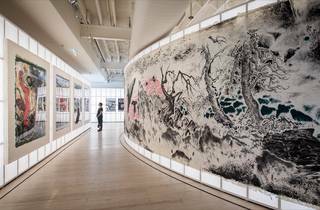 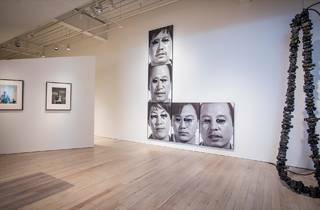 At the centre of the exhibition is Sun Xun's 'The Republic of Jing Bang', which uses an entire floor of the gallery. 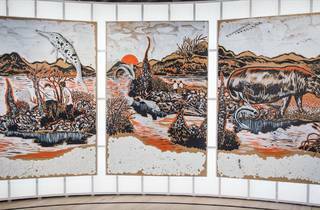 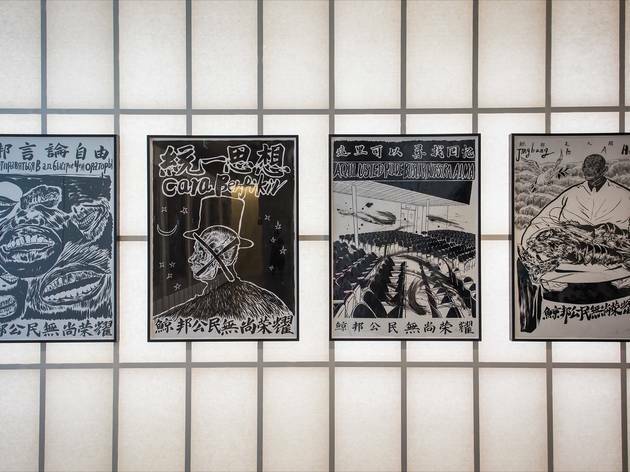 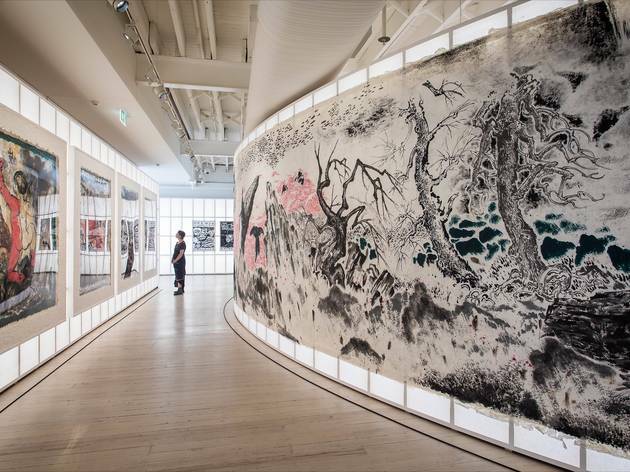 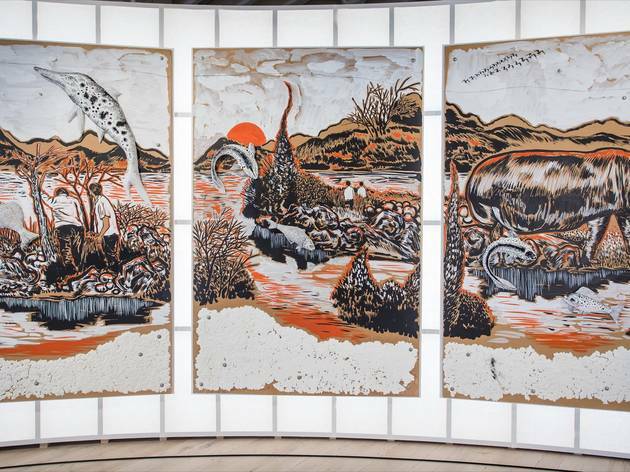 He combines painting, woodcuts, traditional Chinese ink and charcoal drawings in this mammoth installation. 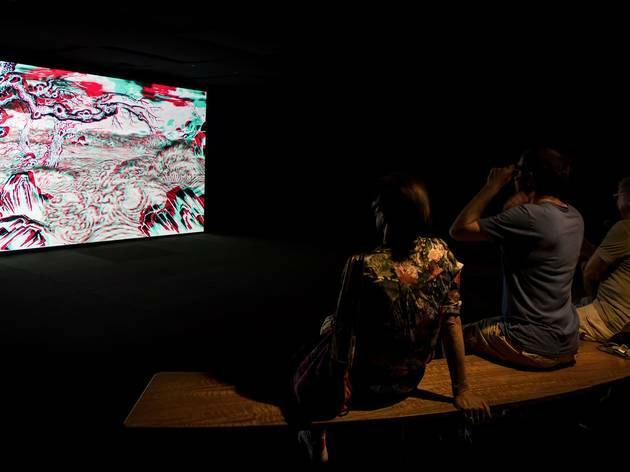 On the top floor, visitors can also see the Australian premiere of his 3D movie 'Time Spy', an animation made with around 10,000 hand-carved wood cuttings. 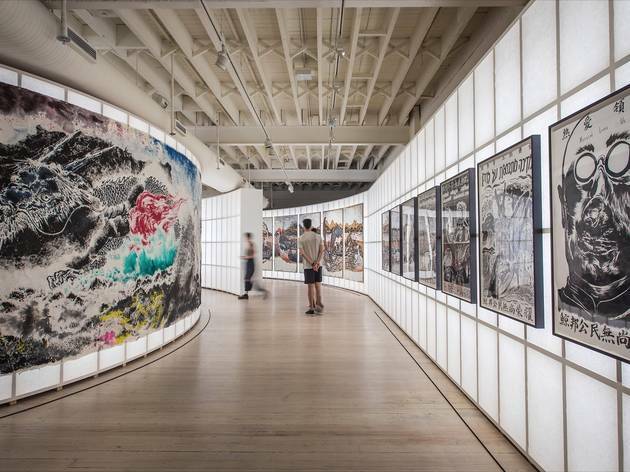 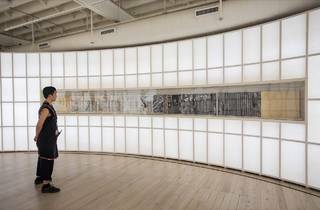 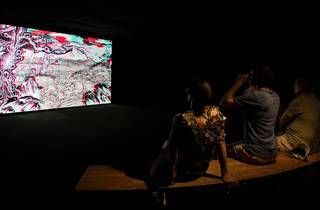 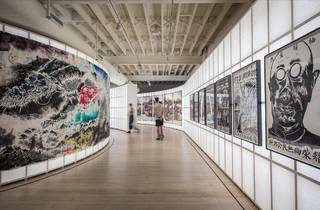 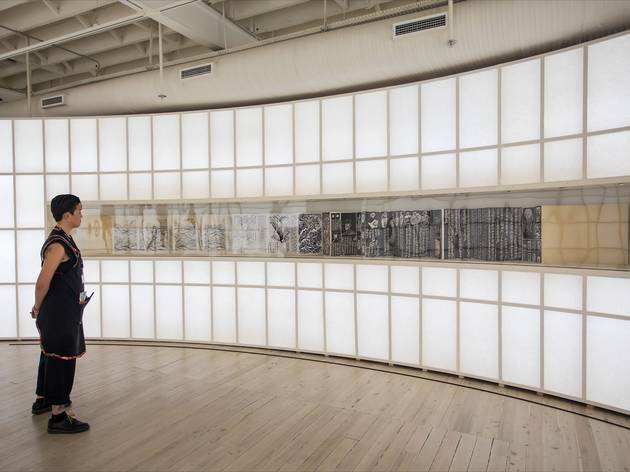 The other major video work in the exhibition is Xu Bing’s 'Dragonfly Eyes', a feature-length film made up from footage from 30,000 webcams all across China. 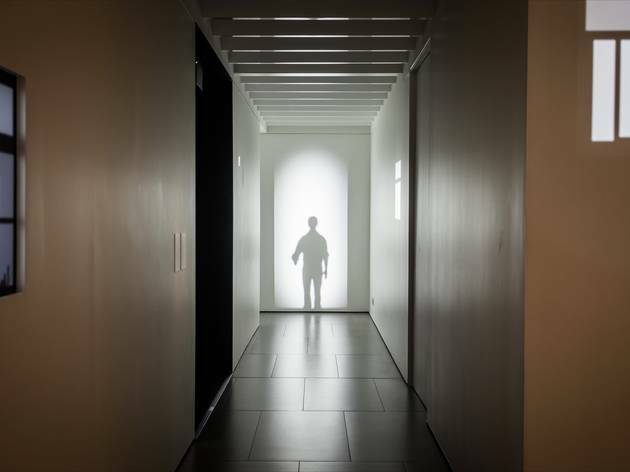 The footage has been cut into a bizarre but totally gripping narrative. 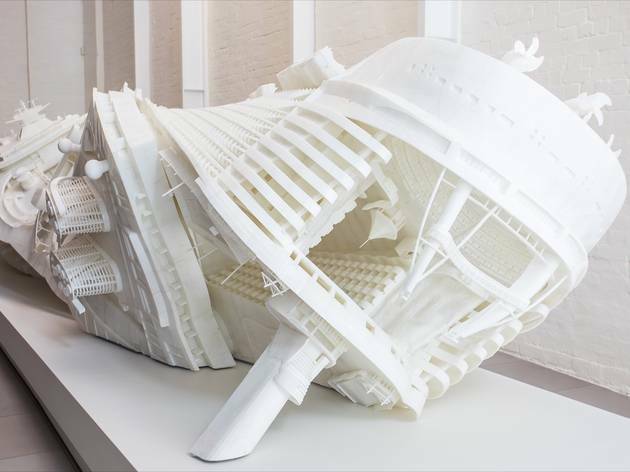 And no White Rabbit exhibition would be complete without an attention-grabbing foyer installation, and Peng Hung-Chih's 'The Deluge—Noah's Ark' is somewhat of a showstopper. 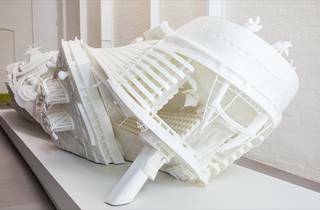 The eight-metre distorted cruiseliner is made up of 6,000 separate 3D-printed pieces.